Sometimes, the most productive thing you can do is take a break. 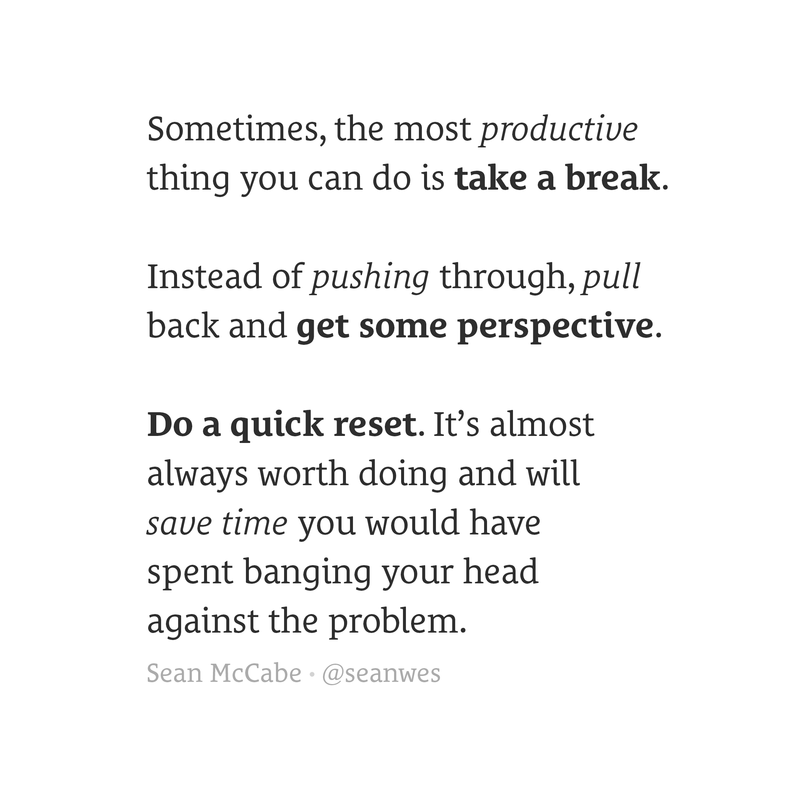 Do a quick reset. It’s almost always worth doing and will save time you would have spent banging your head against the problem. Taking a break is often the most productive thing you can do.